Free vs Paid Antivirus Software - What are the Trade Offs? Everyone loves to get things for free, but when you use free antivirus programs are you getting a working product? 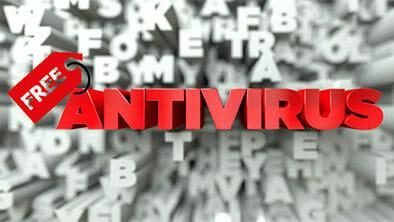 Before you decide to use free antivirus software, learn what you really get and then read about the best free antivirus 2019 software. Should I Get Free Antivirus Software? Everybody loves a freebie, and that’s equally true when it comes to free antivirus software. Although paid versions pack a stronger security punch, many people choose free antivirus programs. You might want to try it before you buy so that you can check that the software is compatible with your operating system and familiarize yourself with the interface and instructions. Perhaps your device came with enough antivirus software built into the system that you feel you just need a free antivirus program to fill in the gaps. Often, free antivirus software users simply want to save money by using free antivirus tools, even if it means keeping on top of updates and adding extra tools. When you use free antivirus programs, you still get highly effective virus identification and protection for your devices. Generally, though, you’ll have to stitch together your own combination of firewall, anti-spyware, and antivirus software in order to cover the vulnerable spots on your device. When you use a paid version, you’ll get all those elements in one package. Free antivirus software does not give you extra features like parental controls, firewalls, and VPNs to safeguard and encrypt your data or warnings about potentially malicious apps or phishing scams. You also generally don’t get very good technical support, if any, on free versions. There’s also a much greater chance that free versions will conflict with your existing apps and you’ll find it harder to fix those conflicts. One thing that you do get is a lot of advertising. Free antivirus software is much better today than it ever used to be, but you’ll almost certainly reach the point where you’re willing to pay for better support, better tools, and less intrusion. If you’re looking for the best free antivirus programs to protect your devices, consult our list of the best free antivirus 2019 has to offer. PCProtect’s free antivirus program has a clear interface and is easy to use. You can use PC Protect to scan your device and be alerted to threats before you decide whether to upgrade to the paid version or not. PC Protect is reasonably effective at locating and identifying infections in your device, and you can delete or ignore apps and files identified as malicious using the free software. Sign up for fre with PC Protect here. Rather than offering a free antivirus program, Norton lets you enjoy a free 30-day trial of its paid version. This includes full system scans to detect, quarantine, and eliminate viruses of all sorts, automatic blocks for dangerous downloads, warnings about suspicious apps, and safeguarding from social media scams and phishing. Essentially, you get fully powered antivirus software for free, for 30 days. Get Norton free trial here. Panda has one of the best free antivirus programs which includes protection against phishing scams and blocking for suspicious URLs as well as effective scans for malware in your files and apps and automatic deleting of infected files. The interface is simple to use and well laid-out. Panda also offers protection against viruses that enter through your USB drive by totally blocking them, and the option to create a rescue USB drive to protect your data in case you need to recover it. Sign up for free with Panda here. BullGuard offers free antivirus software for smartphones and tablets which is remarkably powerful. It includes anti-theft tools like locating your phone, remote locking and wiping, and automatic antivirus scans that locate, isolate, and eliminate malware, spyware, and Trojans. You can also use BullGuard to block unwanted calls and texts and to securely backup your data in case you need to do a full wipe and restore. Sign up for free with Bullguard here. While free antivirus programs can go a long way to protecting your devices from viruses and hackers, there is still a limit to what they have to offer. Even the best free antivirus 2019 software reserves its most powerful and premium tools for the paid versions. Parental controls, quarantine features, 24/7 technical support, and VPNs are all features that simply aren’t available without paying for it. Free is fantastic, but sometimes the truth is that you get what you pay for, even with the best antivirus softwares.